If you are interested in LASIK or cateract removal surgery, our doctors provide initial consultations and referrals to our patients. 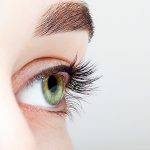 Once the Doctor has performed the evaluation and determined whether you are a candidate for LASIK, you will be given a referral to the LASIK surgery center we have worked with on an ongoing basis. The center will perform advanced diagnostic testing and will evaluate your eligibility for surgery. Various surgery options will be discussed with you if you are determined to be a surgical candidate. We will be in correspondence with the center regarding your evaluation and surgical determination. If you are considering LASIK surgery, call us at (208) 800-0850 to schedule a consultation. Once your surgery is scheduled, we will schedule follow-up appointments for you in our Nampa office. Typically, you will begin these follow-ups the day after the surgery and continue at prearranged times over the following six months. 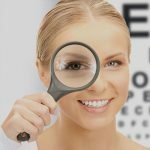 After 1 year, a full eye exam in our Nampa optometry practice is recommended to determine the long-term results of your procedure. Dr. Dr. Landon Hagberg is experienced in working with patients pre- and post-operation and will answer any questions that you have along the way. 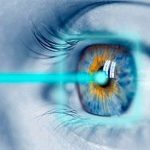 Typically, cataract surgery is a little slower process and patients know it is coming long before the surgery ever happens. However, the process is much the same. Once the doctor determines it is time for your surgery, you will be sent to one of our trusted surgeons for a more advanced consultation and to discuss your surgery options. After surgery, Eyecare Associates Nampa will take over care as soon as one week after surgery. To discuss surgeons or surgery options please contact our office to set up a consult. If you were never a fan of the puffer test for glaucoma, we have good news for you. Because our optometrists stay on top of the latest technology and developments, the puffer test is no longer necessary. Our optometrists in Nampa, ID are dedicated to providing excellent service to the community of Nampa and the surrounding areas. Make the smart choice and contact us today to make an appointment!